Tecno recently released an affordable 6.0 HD big display smartphone with 1GB RAM, 16GB storage memory, Android 8.1(Go Edition) OS, 8MP +13MP front and back camera, fingerprint with face unlock sensors and 3500 mAh battery capacity. Tecno Spark2 is a great smartphone in some ways but few things are still lacking, to find out more about this smartphone features, functionalities and price keep reading. If you are looking for an affordable smartphone with big screen display then Tecno Spark2 (KA7) will be a perfect choice for you because the 6.0 inch HD 18:9 body ratio display size is one of the features that made Spark2 special as it gives you the best visual experience you deserve and more fun when watching your favorite videos, surfing and playing games. Tecno Spark 2 is a new smartphone from Tecno mobile and as a new smartphone, it comes with the newest Android 8.1 (Go Edition) customized with Tecno’s HiOS v3.3.0 user interface that provides several innovative and easy-to-use features to step up your mobile experience while providing you the best processing speed with its Quad-core 1.3 GHz processor. RAM simply means "Random Access Memory" that helps the phone handle it required task while ROM, on the other hand, represents "Read Only Memory" which is the storage system of the phone that helps it to house all your apps, games media files etc. Tecno Spark 2 (KA7) is boasting of 1GB Ram + 16GB Rom which is manageable but not as expected 2GB Ram would have been better but the good news is that there is a successor Tecno Spark 2 plus that comes with 2GB Ram but will surely be more expensive. This phone has a good camera quality and should be able to produce high-quality images and videos with its, 13MP phase detection autofocus, LED flash camera and 8MP front selfie camera which will surely give you what you want. Tecno Spark 2 is powered by a 3500 mAh battery capacity strong enough to keep you connected for few days which is not bad at all considering the price. Other missing features on Tecno Spark 2 is fourth generation network (4G Network) that gives you the best data speed like never before but then 3G is present and can as well be sufficient after all 4G network is not available in a location in Nigeria. ⇒ 3500 mAh battery capacity. 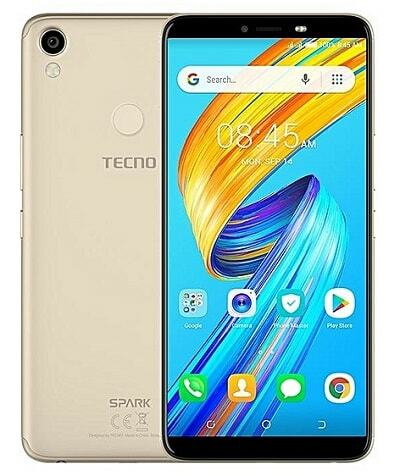 Tecno Spark 2 (KA7) is currently available nationwide and presently selling between ₦33,000 - ₦36,000, you can grab yours now online or from any offline mobile should around you. Still looking for other features then below is the full specifications of Tecno Spark 2 smartphone which shows you all you need to know about this smartphone.